With three months to go before completion, I found myself watching a YouTube presentation of a scholar I deeply respect and admire. Queue thesis meltdown #476. My heart raced and my chest constricted as I listened to her rattle off all the theorists and scholars that influenced her work- I hadn’t read most of them. I sensed potential thesis failure and it felt suffocating. But then I remembered that I was not trying to be her- a post-humanist educational sociologist. I was instead drawing on a wide range of disciplines and approaches that were demanded by my thesis aim and objectives. Her research was just one facet of the diamond I was revealing through my endeavours. However the questions lingered. What was I trying to be? Where do I fit in? Whose rules do I abide by and what happens if I break them? Identity work has been a big part of thesis production for me and has been written about by Pat Thomson, Barbara Kramler and in World.edu. Interdisciplinary theses present a range of challenges and identity work is one of them. We are confronted with having to break rules and make our own thesis creation out of different academic pieces that are relevant to our research. I was a kid who excelled at not breaking rules, always coloured in the lines and was brought up to meet unspoken expectations and not to cause a stir. Most of us who have done well academically have learnt to follow written and unwritten rules to the letter. This socialisation made the necessary rule breaking of interdisciplinary work particularly confronting, but held promise of bringing something fresh and vital to problem solving and a bit of liberation. A noble pursuit! On the tail end of recovering from thesis meltdown #476, I happened to watch the Lego movie and as fate would have it, it helped me bring together and begin to resolve these issues of identity and rule breaking in interdisciplinary research. In the Lego movie universe there are worker bee type citizens, who meticulously follow the construction and social rules set out by the ruler, Lord Business. Then there are an elite group of renegade ‘master builders’ who conceive and construct incredible creations from their imaginations using any Lego pieces in the vicinity. The messiness and creativity of the master builders are a threat to the evil ruler, ‘Lord Business’, who seeks perfect order, predictability and obedience. Lord Business sets out to prevent creativity and rule breaking forever. Enter our accidental hero, Emmet, a construction worker who feels anything but special when he is chosen to fulfil the prophecy and save the Lego universe from Lord Business. Emmet admires but never dreams that he could become a master builder. When thinking about theses, some projects more than others demand that you become a master builder. They ask you to consider, but throw away, the plans and dare to mix disciplines and methods. Dare to be creative. We don’t imagine when we set out to do a PhD that we will be able to become master builders, but just like Emmet and the other Lego people, it might be in us all along! My friend Dr Gemma Carey often remarks that no one talks about the creativity involved in thesis production. Maybe that’s because this creativity is hard to articulate. It involves much discomfort, self-doubt and head banging but is ultimately exciting and inspiring as it can help answer questions of the world in rich, innovative and satisfying ways. Give yourself permission to play with breaking the spoken and unspoken rules. Exploit the disciplines you are dipping into and exploring; acknowledge, but ignore, the boundaries that constrict your research unnecessarily. Find other apprentice and experienced master builders. People who are open to go where research takes them and are not bound by traditional rules of methods and disciplines. Start to view your thesis production as a creative process and one of becoming. Learn to sit with the discomfort of working across areas. 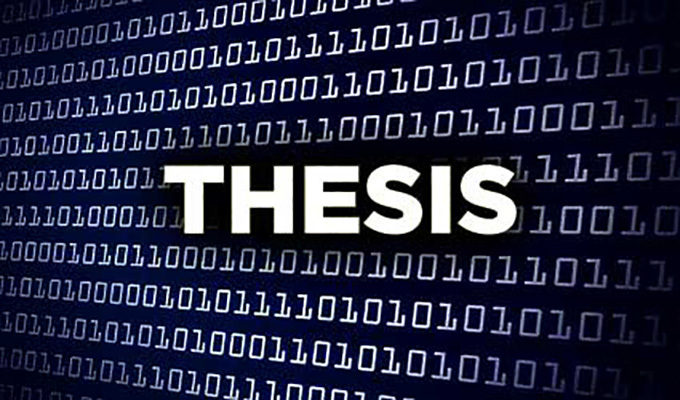 If you are lucky enough to have a thesis topic that wants to drag or propel you through many different world views and fields, and you are able to follow that path, you might just end up with a thesis that is more rich, risky, alive and useful. More than that, you may end up more inspired and energised than when you enrolled and with a taste for academic danger!